Linear and electrical actuators are used in various medical care devices to comfort patients and improve lives of doctors, nurses, and caretakers. These actuators bring great convenience and comfort to users by ensuring perfect movement and control. Treatment chairs are one of the popular medical devices that use these actuators. Patients spend a lot of time in these chairs for various reasons ranging from initial checkups to recuperation. Venture Mfg. provides quality linear and electric actuators, which can easily increase the value of these chairs in unique ways. Vertical Linear Movements:The up and down movement of the treatment chair is controlled by lifting actuators or columns, thus improving ergonomics. Tilt Functions: The actuators are used for tilt functions and control motion of chair legs. Rest Position:A back lift actuator guarantees a comfortable rest position to the patient. Advanced Features: Nowadays, electrical actuators are used to improve the capabilities of treatment chairs. They can be used to operate accessories such as reading light, charging devices for smartphones, etc. 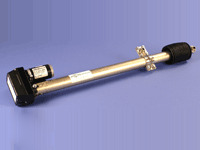 These actuators are also used to improve working conditions for healthcare professionals. Today, many treatment chairs come with built-in scale weight check equipment, a nurse call function, and wet sensor, which are controlled by electric actuators. We can provide lifting columns with simple design, which ensures patient safety. These actuators enable patients to enjoy free movement without worrying about their hands and legs getting caught between the moving parts. 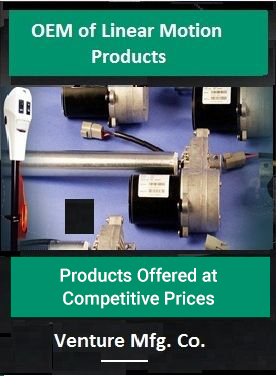 We can deliver actuators with various loading bearing capacities. We also deliver some specific actuators that support back rest, and leg rest functions, as well as support advanced features. In short, we can provide actuators that meet your complex medical chair design requirements. Following advantages of our treatment chair actuators make them popular with medical industry clients. Simple Designs: All our actuators feature simple and easy-to-use designs, which are easy to install and require no maintenance. Allow Endless Integration Possibilities: Our medical treatment chair actuators offer endless combinations in terms of motors or other accessories. Additionally, power controls can be integrated into these actuators for improving mobility, control, and application suitability. Durable Construction: Our actuators feature sturdy construction, which ensures long service lives. Do you want linear, electrical, or electric linear actuators for treatment chairs? Venture Mfg. can provide them at reasonable prices. Quick turnaround times and high quality assurance make us different from other actuator manufacturers.